The ASTD big question for this month is what will workplace learning technology look like in 2015? I imagine workplace learning tools that help us filter the signal from the noise. What shape might this take? I have an immediate learning need and I search for something that will help me. Text search is limited — there is too much noise that comes from searching. Search engines may improve their algorithms, but there’s too much data out there. Rating systems – I have the option to add layers or re-sort the data so I can see popularity, rating, recommendations by the Learning Group; recommendations by the CEO; or how they link to being a part of a learning series (aka curriculum). It also recommends others who may want to be taking the course at the same time and suggests them as learning buddies. Learning solo or in groups: I also have the option of learning on my own, learning with a group, or with my team where we learn parts of a complex set of information (distributed cognition), or just learning with others who are taking this or have taken this recently. Choosing & Follow-up – I choose the learning chunk I want. This is followed-up by an email that asks me to rate it, whether I want it put towards my performance goals and also send me related links for more learning. Maybe I take advantage of this, maybe I don’t. If I don’t find what I need, I tweet internally. Hopefully someone in the Learning Group responds and sends me a link to the relevant information. I smile, they’re just like ComcastCares. My company has set strategic goals. This translates into competencies. This eventually turns into learning goals at the group and individual level. Or maybe it’s just that my manager has set learning goals for the group. The business management/talent management system sends me reminders on expected courses. I take courses online/in-person. Or maybe I test out of them. Only successfully completed courses go on the record. For bonus points I create learning modules and advertise internally. This goes towards my learning points. I check my learning points against those as colleagues on the leaderboard. Learning as gaming. My learning points come up as part of my review process. In 2015 we will still be recovering from this economic downturn. Whether companies will be able to invest in an infrastructure that brings together all the pieces of their business so that there can be a coherent learning plan remains to be seen. Or whether the management of this infrastructure goes to the cloud and software as service can step in to fulfill this role remains to be seen. I imagine workplace learning technology that is not that much different from today — I imagine it better integrated and linked to my personal objectives and my company’s strategic business objectives. Workplace learning technology in 2015 will help me customize my learning experience to my needs and my company’s strategic goals. Whatever happens — people will still need help separating the signal from the noise. Tagged with ASTD, business, personalized, search, strategic, technology, trends. 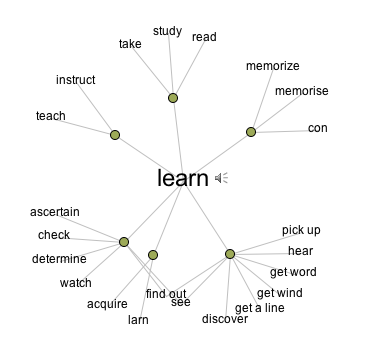 Semantic based Search and Socially Vetted Content will play a key role in Learning. You should post your comments to the Learning Circuits blog as well: http://learningcircuits.blogspot.com/ — multiple perspectives on this question.